As a developer, the 3 apps I use most: Terminal, Text Editor and Music Player. So, in the mac-brave-new-world, I particularly use, in order: The default Terminal.app, SublimeText2 and iTunes. SublimeText has his own tips, and I won’t write about that. The web is already full of them. Go to the wild-web and find the best for you. A man who calls himself as a developer says: “I’m a developer, I don’t want to write commands, I just want to use some UI to do what I want to”. Well, let’s stop this and go to what really matter. Install XCode command line tools. You will always need it anyway. Homebrew Cask let’s you install normal apps with brew via command line. You will almost-never have to manually download and install apps again. disk-inventory-x: tool to find files that are eating your hd. The others are probably auto-explanatory. 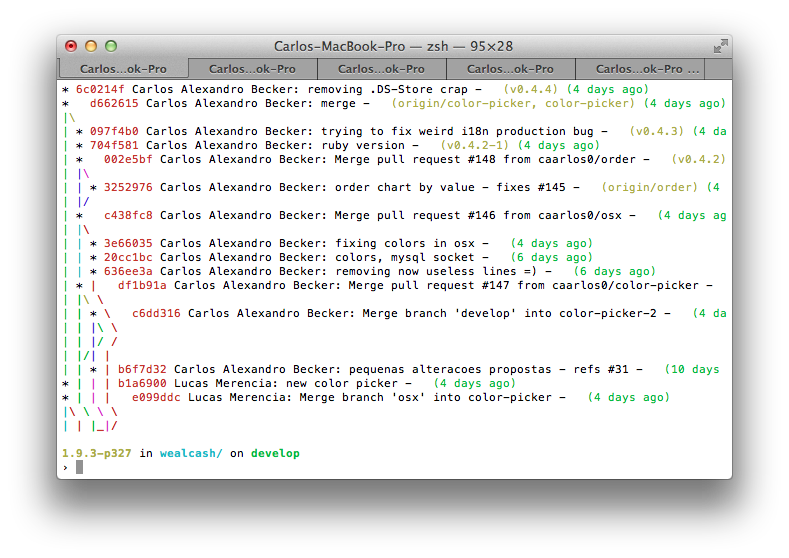 ZSH is pretty powerful and highly customizable. There are a lot of projects around the web to achieve an easy start to it. I’ve already wrote about this before, in case you want to read something about it. So, in some projects I use the rmagick gem, and it got me some headache to install. And boom! It works =) Pretty tricky. Update: The C_INCLUDE trick seems to not be needed anymore. If you want, you can also take a look at my OSX Settings, which is already available in my dotfiles (and you already have if you ran the dot script). Install Alfred, a produtivity tool. Have your own tips? Share with the other fellows in comment box bellow.